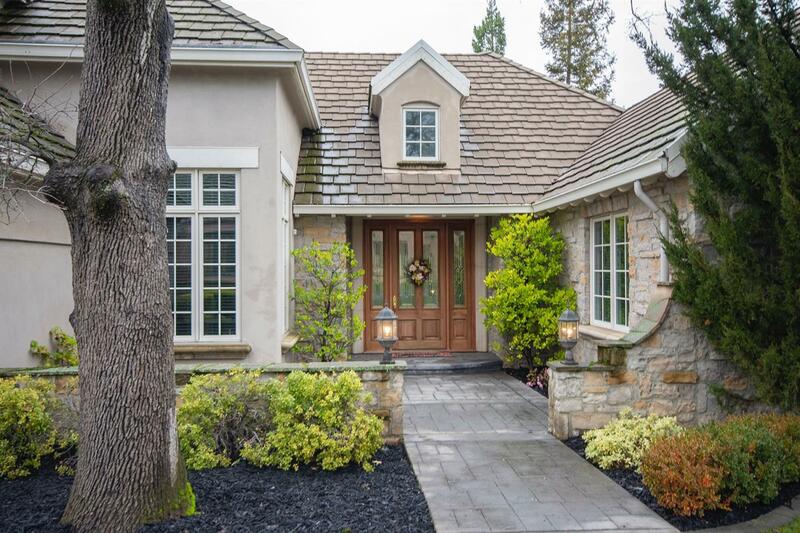 Located in the picturesque setting of The Residences at Granite Bay Golf Club, this spacious custom has the master suite, guest bedroom and a dedicated office all on the main level. The second floor offers two additional bedrooms with walk-in closets and an over-sized game room. Distinctive features include 3 fireplaces, whole house fan, imperfect smooth walls, and a chef's kitchen with Sub-Zero, Dacor and Bosch appliances. On one of the most spacious lots in this desirable enclave, you'll also enjoy an open front courtyard, spacious rear yard with lawn, your own pool & spa as well as a dedicated area for garden beds. Oversized 3 car-garage with high ceilings. Ownership of this home includes membership in The Residences Homeowners Association which includes the beautiful gated entry, swimming pool, tennis and basketball court, oak-studded open space and exclusive underground cart access to the prestigious Granite Bay Golf Course.